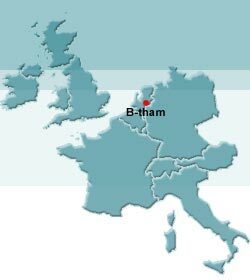 B-tham Trade & Consultancy B.V. is an international technical trading company who’s main activity is buying and selling used equipment mainly for the public works and parks maintenance sectors. Examples of the products we trade are: tractors, machines, power tools, cars, vans and small trucks. We have built up our company through many years of experience in commercial, education and management activities in public parks, agricultural and cultivation technology areas. Consequently we can offer our expertise on a consultancy basis. B-tham focuses mainly on companies, institutions and governmental organizations that are active in the maintenance of parks and public areas. A wide variety of these city and county public works and landscaping companies are our partners both in acquisition and sales. Most important to us is a good working relationship with our acquisition sources; a good honest deal is therefore essential for us. Our strength is our wide working scope. We are able, when necessary, to buy complete company assets which has the advantage of dealing with only one contact person for you as a supplier. Because of our extensive national and international network of buyers, we are able to give you as seller good conditions even for items that at first glance might seem less interesting for the local market. It should not surprise you that among our business relations are many cities, counties, institutions and major companies with large inventories of equipment. We offer a wide variety of used transportation and work equipment mainly used in the public parks and works sectors. Most items that we offer can be found in our stock list. If you are looking for something that is not listed here do not hesitate to contact us anyway; it may be possible that we will receive the required item in the near future or that we can help you find it. A good working relationship with our customers is essential to us. Reliability and correct agreements are our main themes.